5 Steps to Repair Your Damaged Hair | Shear Cut Inc. If you read our last blog post, you discovered the regenerative benefits of a deep conditioning your hair. However, fighting against dryness, split ends, and frizziness involves more than just regular deep conditioning by a hair stylist or yourself. This is good news – there is more that you can do to keep your hair shiny and healthy despite sun, hair dryers, curling irons, and brushing. Just the water you use can cause buildup in your hair – and that’s before your shampoo, conditioner, and hairspray. Find a good clarifying shampoo. If you want a home-based solution, explore baking soda clarifying treatments or apple cider vinegar rinse. Most people can benefit from clarifying treatments once a month. The sun will fade your hair color, make your ends brittle, and generally damage your hair. Explore ways to combat UV damage in our next blog. In the meantime, if you spend a long day out under the sun, give your hair a long hydrating treatment to rejuvenate it. These treatments are easy to do at home. Find a hair oil you like and apply it to clean, towel-dried hair. Olive or lemongrass oil work great as home solutions. Cover with a shower cap and apply heat. Once your hair has cooled to room temperature, rinse with cool water. Do this 1-3 times a month, depending on what your hair needs. See our previous blog post for more information on this valuable treatment! 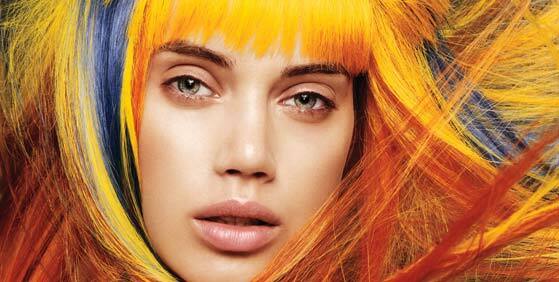 Explore layers, get a healthy-sized trim, try bangs – just leave those split ends behind! Now that you have a fresh start, use the previous strategies to keep your refreshed hair looking great! At ShearCut, it is our mission to find the unique style that fits only you. The confidence that comes with a great haircut is yours for the taking – make an appointment with your premier hair stylist today!